Durable two side box frame and the structure of 4 horizontal beam with high angular rigidity,even weave weight cloth at high speed,the restraint of shake is preeminent.Also can proceed stable beating up and weave is high quantity. 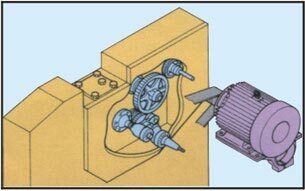 At main driving,let-off,take-up and cam shedding etc.,These device adopt oil bath.Moreover,the other parts also adopt to concentrate lubricate with the butter,so extension partition time to add to oil,and maintain get to easy. Independent super start system can produce 8 times torque than usually at start,it can increase the power of the first bating-up and prevent weft crackiness.It suit to the high quantity clot. According the condition of operator and fixer,can use four function key (surveillance,control,service and count)on I-keyboard,can choose according to the work content. Ps109e use one feeler for filament,used two feller for spun.Besides exploring usually short pick,can also explore the break pick.The high performance echo sensor can proceed extensive exploration,attaining absolutely safe.Moreover,the sensor bears the dirt strong,have very high dependable. 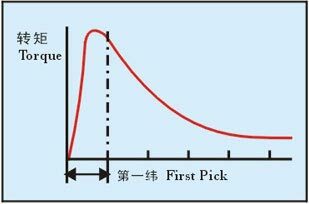 Ps109e equipment AJC,that device watch arrvie time of pick by computer,according its change to adjust filling time.Especially obvious effect for change tension from full beam to small beam.Realizes to stable filling. 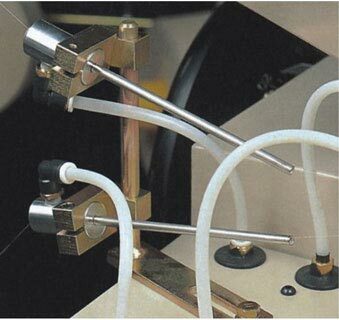 When the loom start,the first filling time is slow than usually,it easy creation long pick etc..PS109e adope computer controls alone the first filling,prevent long pick to stop. 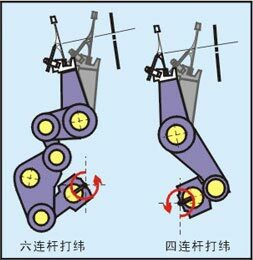 At take place filling error,the loom can stop before next filling and proceeding auto reversal,finding out the shuttle of the trouble pick and stop.It is easy to handle trouble pickand run again,can keep the error of operation and can increase operating number of loom. 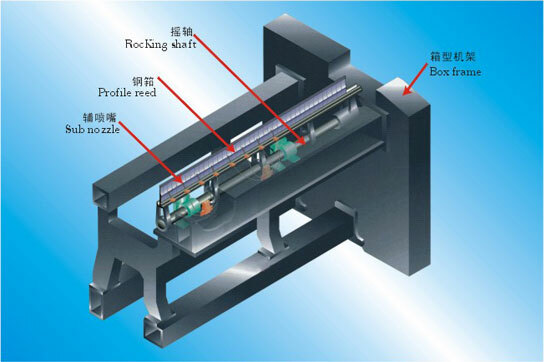 In FDP electronic storage pick device,winding pick is complete synchronous with loom speed.At the same time,the pin is moved by computer control,therefore change loom speed,also need not adjust the FDP again. 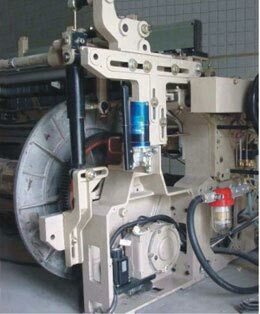 Let pick proceed the acceleration at low- pressure,can prevent harm yarn,even at super-speed or super-wide,also can easily stable filling,Besides there are standard type of associate with main nozzl,still it has can set up independent controltype for jet. For different kind of pick,made use of distinguish jet time of sub nozzl,realizes to stable filling,increase the quantity of fabric,energy saving. For the narrow,because of adopting four connecting link beating-up with excellent evaluation,thereby realizes stable beating-up even in the high speed. 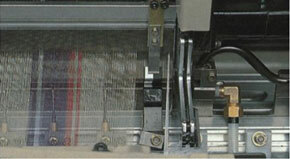 A 6-link beating motion is used for wider looms.Above 280cm. 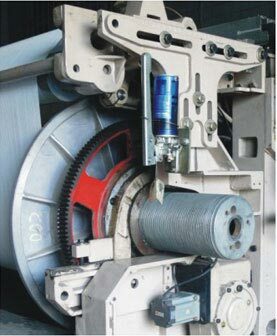 Because adopting high rigidity structure,equip big diametral warp beam gear and equip tension cross rod,can intelligent to weave weight fabric at super-speed. 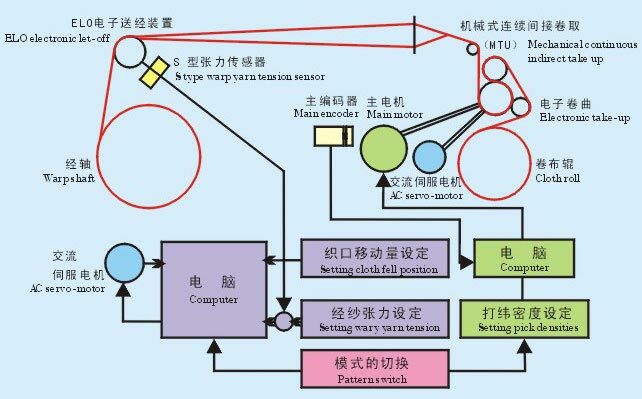 ELO electricity controls let off device detect fact tension by tension sensor under tension roll.And it control warp beam let off during drive AC servomotor by computer.Let off through diametral variety repair proceeding automatically,so it is very accuracy,can invariable keep warp tension,insure outstanding quantity of frabic. 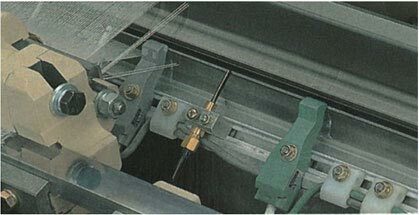 ELO electricity controls let off device can also console warp lengthening according to the stop time of loom by computer,control fit shed during reversal function.Pass this function,can eliminate weft crackiness,proceed high quality weaving. For change of warp length during sheding,can active compensate.It is very valid for filling. 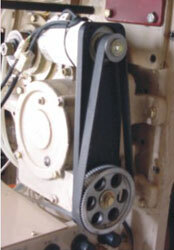 Loose warp while loom stop,then strain warp when start.It is valid to control weft crackiness when weave twill or stain. Because adopte continuous indirect mechanical take up device,therefore can fall cloth when running.Use friction shoe in take up dirve,so avoid skid and wrinkle and make cloth flattening. Adopt super-speed nagative cam in ZCM machine.Increases the enduring of the parts,can proceed super-speed adaptability shedding,it is a super-speed cam machine. Can choose the electronics type,negative type / positive type and underneath type / overhead type equipment. The leno device of planet gear can adapt high speed.We adopt cure no risk at all for every part.Becoming the hard cloth side that do not take place the wrinkle. 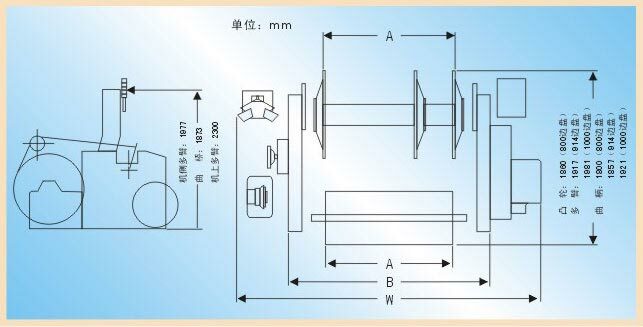 Broken wrap stop device have high sensitivity ratio,while broken warp can make loom stop immediately.As a choose part,still having a kind of easy discover broken warp position,slowing that row position. 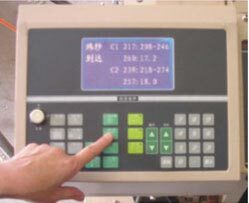 Provide LCD i keyboard can clear seeing from any position.Excluding automatically showing running information,repairing information and clothing length,also can proceed autocontrol,automatic condition set and multi-function usage.Operation key of diagrammatic drawing are distinguish function by color and position. (fixer,manage and operator) Operator can attain massage by 3 center key,usage is quit simple.Moreover,if equipment connect unit,it also can become dialogue termination with the exterior computer,proceeding both way communication. Unit of cloth length can use meter or yard.Also can show forecast time of the next cloth and forecast time of warpout. When loom stop that occur trouble,the loom can show check item and repair part.While stop,it show stop cause and stop time. 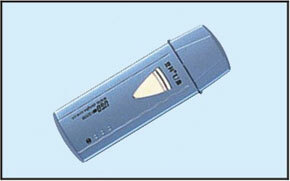 It is used when opertor call fixer.If press,the red- lamp of four tower lamp flash, if press again,the red lamp stop flash. This is write loom craft into memory card and save.And can write craft from memory card to other loom.So not set by hand and avoid fault.If have the memory card of the different loom craft,can also proceed renewal variety quickly. 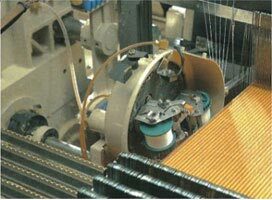 The echo color weft feeler can check all of short and long pick,can stabilize filling,and do not need special reed. Feelers may operate at high speed on the best state without the help of peope.